Alison Cope organises awards event to recognise the achievements of young people in alternative provision settings. 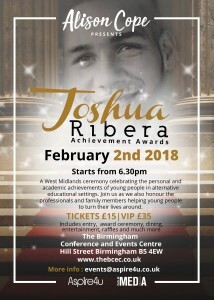 The Joshua Ribera awards ceremony, organised by Alison Cope is to take place on 2nd February, 2018 at the Birmingham Events and Conference Centre. It celebrates the achievements of 21 young people, aged 14 to 18. They come from alternative provision schools and the awards highlight the success of these individuals in the local community. Alison has achieved the feat of organising this events by herself with limited financial and practical support. She intends to bring the achievements of those in alternative provisions to the forefront by way of this awards ceremony in the hope that she receives better support for award ceremonies that are to follow. The Community Interested Company Aspire4u is aiding Alison Cope with the promotional materials required for her event. 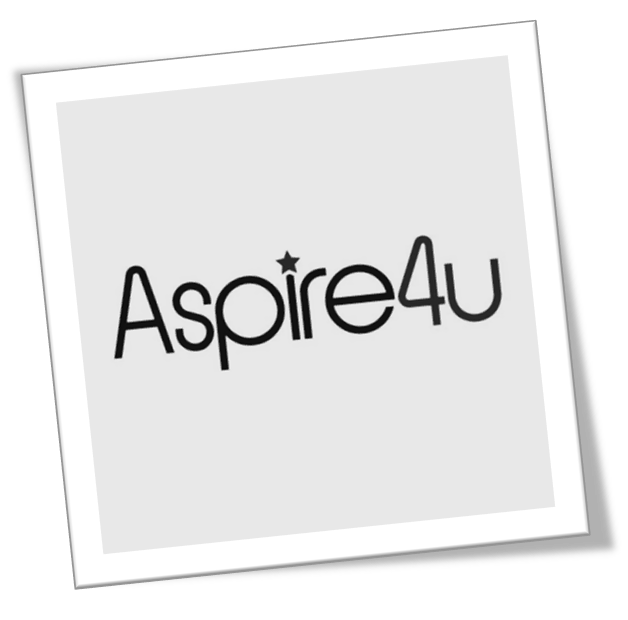 Aspire4u, a Community Interested Company that helps young people – such as the ones being awarded in the ceremony – in the development of their mindset, financial capabilities and employability, has aided Alison with her campaign by providing promotional materials. The aim of this awards ceremony is to help build an awareness of the work being done to inspire young people who may be in the same situation as those being celebrated. These young individuals may not have had the opportunity to develop their potential. The awards ceremony strives to recognise that potential. 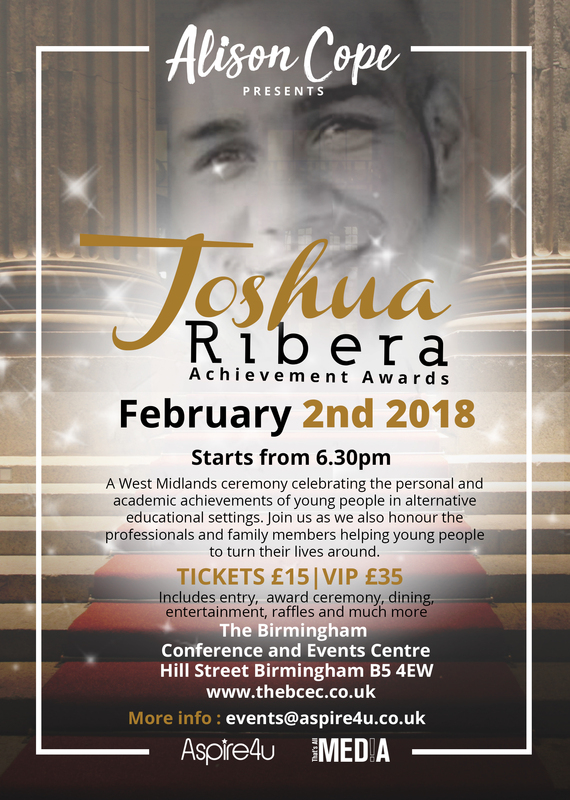 The Joshua Ribera Awards Ceremony takes place on February 2nd, 2018 at 6.30pm at the Birmingham Conference and Events Centre. The awards are hosted in memory of Alison’s son, Joshua Ribera, who died in 2013 as a result of a fatal stab wound. Since his death, Alison has been campaigning against knife crime. Alison hosts talks in schools and spreads her message to, on average, 5,000 young people a week. Her talks reach out to 260,000 young adults annually. By giving advice and guidance, Alison retells her personal journey to help inspire the young people. These young people are often deeply affected by the story she has to tell. 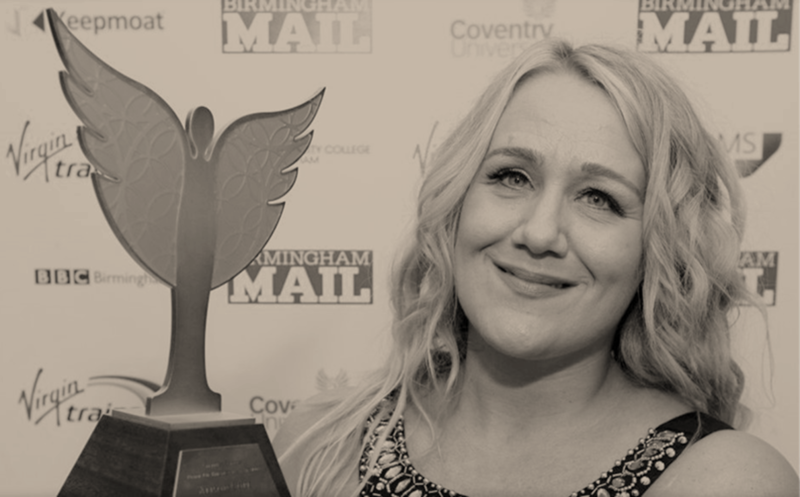 The Pride of Birmingham award winner educates the individuals about positive choices and builds an awareness as to how their choices can have terrible consequences for those involved. This has helped prevent knife crime and raise an awareness of its dangers. Knife crime pervades society and is the claimant of around one hundred lives a year in England, according to the Guardian. In the West Midlands alone, 847 knife crimes occurred between 2016-17. This signifies a concerning issue that needs to be tackled and Alison’s campaigning is one step in the right direction. As a member of the community, Alison is regarded as a pillar of support and is often the first point of contact for those individuals who need help but find it difficult to ask for. On average, per week, she receives four direct messages on social media site, Twitter. Her message of love being the essential requirement for the positive development of young people resonates amongst the local community. Additionally, this awards event generates an awareness of the perils of knife crime. Furthermore, it highlights the predicament young people find themselves in when little support is offered to them in alternative provision schools. 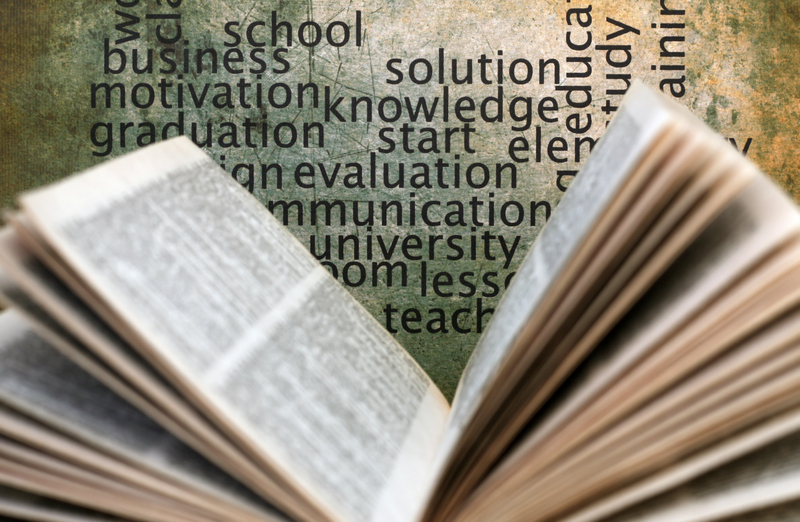 It is clear to see the impact alternative education settings have had on the young individuals that attend. “Someone believing that I could has made the biggest difference”, one pupil declares. Another pupil states: “It’s picked me up and got me where I am. Now I have a future”. Nevertheless, according to a 2016 report by the Department of Education, alternative education settings have limited funding. This is a hindrance to the development of those that attend, particularly when these schools have the ability to help young people realise and accentuate their potential. As a result of the limited financial support, opportunities are reduced for the young pupils’ development and wellbeing. Moreover, as stated by the BBC, only 19% leave their alternative provision schools with 5 A*-C GCSE grades compared to the national average of 66%. These alarming figures signify more needs to be done to bolster alternative provisions and the young people that are a part of them. Alison recognises the need for change. Her support has helped the community to broaden their views in the understanding of the mindset young people possess. The professionals who have helped in the positive development of these young people are also being recognised at the awards ceremony. By doing so, professionals are provided with the motivation needed to actively engage with their young aides. This helps to generate positive results in the development of their mental well-being and financial literacy. Aspire4U understands that there is a need for change on a grass-roots level. Alison is hoping to achieve change by organising this awards ceremony. By utilising her personal experiences, she empowers young people to reassess their situation. This helps them to move forward in a positive manner to improve their financial and employability states as well as their mindset. By celebrating these academic and personal achievements of these individuals, it helps to generate an understanding that those who want to make a change have the full support and backing of those that care about their development. This can help make an encouraging contribution in the prevention of knife crime. It also helps improve the lifestyle of young adults in alternative education settings.